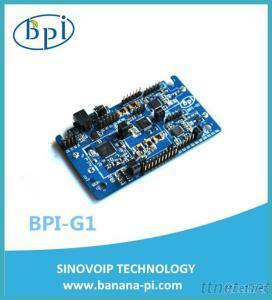 The BPI-G1 specifically designed for smart home. BPI-G1 support ZIGBEE, BLE and WIFI, can seamlessly connect mobile phone, tablet, PC and other equipment. It is a universal remote control, an intelligent gateway, can be a smart home, it can be a DIY electronic controller. BPI-G1 includes a variety of peripherals, including a fast parallel camera interface, I2S, SD / MMC, UART, SPI, I2Cand four-channel analog to digital converter (ADC) and has a wealth of GPIO mouth.